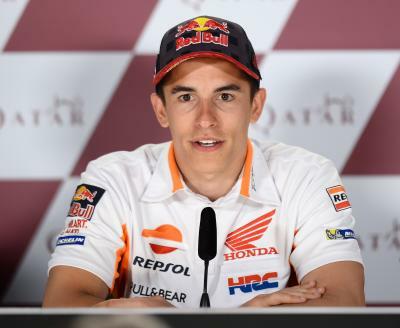 Spanish Repsol Honda rider Marc Marquez on Sunday won the MotoGP San Marino Grand Prix crossing the finish line only a second ahead of his Italian rival Danilo Petrucci of Ducati. The intense duel between the two leaders on an exceedingly wet course ended with the Spaniard celebrating his fourth win of the season, which placed him at the top of the general standings with 199 points, reports Efe. He completed the race in 50 minutes and 41 seconds, with Petrucci just over one second behind. Marquez is now at the top of the standings with Italy’s Andrea Dovizioso, who also has 199 points, while Spanish Yamaha rider Maverick Viñales is in the third place with 183 points. Dovizioso finished third in San Marino, 11.7 seconds behind the winner, followed by Viñales and Italian Ducati rider Michele Pirro, who finished fourth and fifth respectively. Australian Jack Miller of MVDS Honda came in sixth, while Briton Scott Redding finished seventh ahead of Spanish Alex Rins. Jonas Folger of Yamaha and KTM rider Bradley Smith finished ninth and 10th respectively, each almost a minute after Marquez.